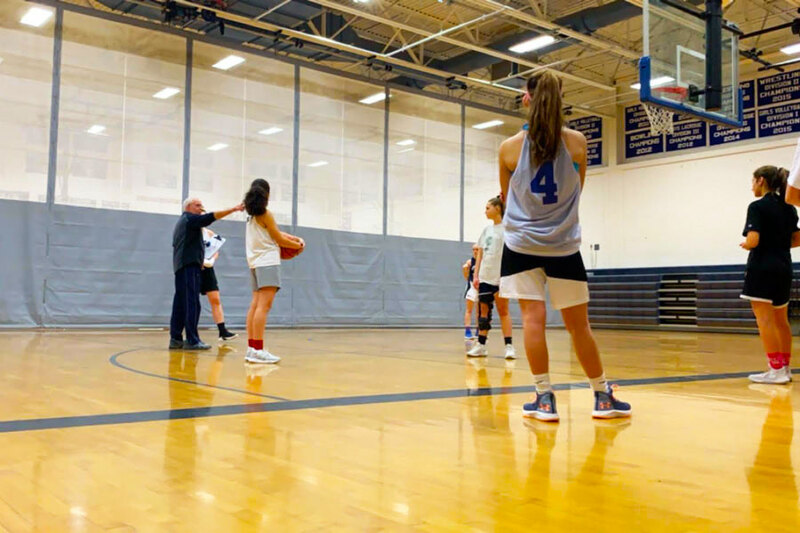 The girl's basketball team practices in the gym. The team has a 7-2 record and each girl has a commitment to play the sport. “I have learned to channel my aggression into playing whether it be hitting the ball harder in volleyball or going up stronger to the hoop in basketball,” said Elizabeth Atkinson ‘19. Since the first Olympic games in 760 BC, where sports as simple as running and wrestling were the main events, they have been a part of the world’s cultures for years. As time went on, different sports emerged and many branched off of others. It is estimated that there are around 800 different sports that are played all over the world. Sports can be played in school, recreationaly or even professionally by people of all socio-economic groups. You don’t have to be rich, well-educated or come from a nice neighborhood in order to play. They have a positive impact on the relationships, discipline and the human body and could even be considered a universal language. When people from all cultures unite to play the same game, whether it’s football, soccer, baseball or any sport, it allows us to forget the differences that we have in religion, race and even political views. If you are growing up in a single-parent household, don’t earn good grades, or don’t live in a nice home, you can play sports. No prerequisites exist when playing sports, which allows people from all different places to come together in order to enjoy the same thing. When fans arrive at the stadium and are dressed in their favorite team colors, the atmosphere of the game is vibrant and energizing. No matter your gender, age, race or social status, sports can bring people together because everyone can play and watch them. 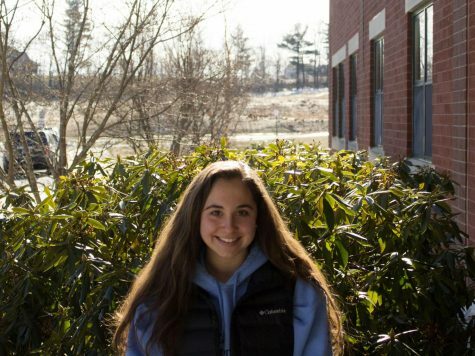 “I think you’re more focused on the game and the adrenaline of it than the differences in people around you because that has no direct impact on the game at all,” said Abi Blasi ‘20. You’re able to forget about outside issues and focus on the moment and the excitement happening in front of you. “It can be overwhelming, but once you get to your seats to watch the game, you don’t think about it and it can be an incredible experience,” said Blasi. People are able to connect on an emotional level through the highs and lows, the cheers and boos and the wins and losses. Sports also allow us to be disciplined in our action. The rules that sports have put in place allow us to do this. Not being able to hit the person that just scored a goal on you is put in place for safety, yet when you are able to control yourself from the outburst, it controls your anger. “When I get angry while playing, I try not to overthink it and take a breath to figure out what I can do to improve, especially considering the two sports I play are very team-based and not an individual game,” said Elizabeth Atkinson ‘19. This will aid you in life when you aren’t allowed to show your anger in physical ways. You have to accept what happened and learn from it. Sports teach us that we have to improve different aspects of our game in order to win and succeed. The discipline that sports teach us when we play also helps us communicate with other people. One can learn that talking to others during the game will help organize play. “Sports help me work with others by helping me find ways to find my voice and speak up. Also, it helps me meet people with all different kinds of personalities and [make] friends with them,” said Atkinson. Without this key communication, there can be a lot of disorganization. Speaking up and being a leader will help your teammates and yourself. “It benefits me the same way as working with other people. Since freshman year playing with seniors and now being a senior playing with freshmen, I have learned to find my voice and become more of a leader,” said Atkinson. As well as improving discipline and relationships, sports allow our bodies to stay healthy. It is said that “Approximately 40 percent of deaths related to coronary heart disease are related to inadequate physical activity, obesity, stress and raised blood pressure,” according to the British Parliamentary Office of Science and Technology. Lack of physical activity will cause many people to have an unhealthy body weight and create negative effects on their lifespan, movement, heart health, and physiological health. Many people play sports as an escape from their daily lives and anxiety or as a way to improve cognitive development.